Eat. Drink. And be married. You and your guests can raise your glasses at Portland’s most popular, award-winning restaurant – the Portland City Grill. Enjoy city and mountain views from atop the 30th floor. The Portland City Grill provides you with a warm, intimate ambience that is perfect for your rehearsal dinner. 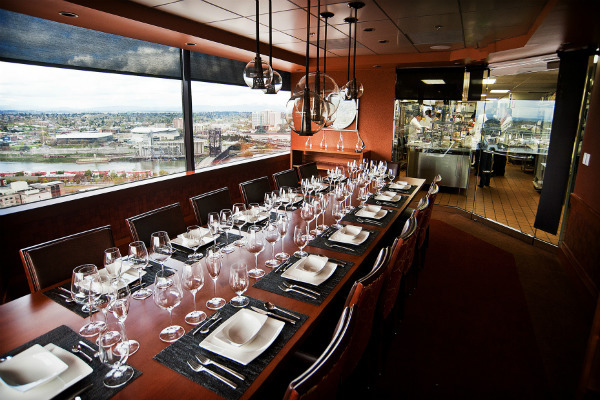 The restaurant provides several private dining room options, all with magnificent views. 111 SW 5th Ave Portland, OR 97204"